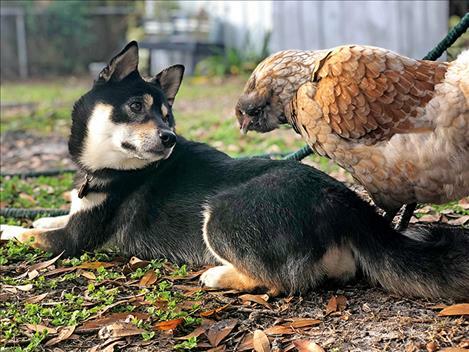 Two GCP clients, Kona and Egger, enjoy a tender moment at playtime. EVARO – Garden City Pets, Missoula’s premier pet care business, opened at its new location on May 1. This location will provide dogs, cats, and critters with a modern twist on your typical pet care experience. 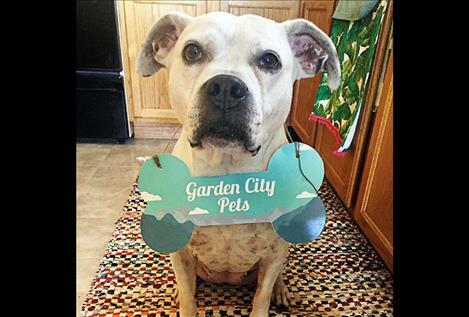 Garden City Pets hosts animals with a home-away-from-home mentality. Owner Lisa Marie is excited for grand re-opening of the business, which has been operating in Missoula for over the past year. The business’s new home includes 12 acres for dogs to roam and play in the shadow of Grey Wolf Peak in a forested area off U.S. Hwy. 93, ten minutes north of downtown Missoula. The Manor’s cage-free mantra is not your typical dog boarding experience. Instead of kennels, dogs are housed in carefully crafted, comfort-designed stylish suites during naptime and bedtime. During the day, pups have supervised play, under the care of specially trained canine counselors. The business also has an assortment of kitty condos and critter motels available for boarding cats and exotics. As an experienced veterinary technician, Lisa Marie also brings an additional level of care and expertise to the table that most pet care professionals don’t have. She and her staff are well-versed in caring for geriatric and special needs animals that might need a little extra care and attention. In addition to on-site care, Garden City Pets also offers drop-in visits for animals that prefer to stay in their home while pet parents are gone. In addition to domesticated animals, GCP offers drop-in services for livestock and farm critters also. GCP is open 7 a.m. to 7 p.m., with the exception of lunch closures from 1- 3 p.m. The Garden City Pets facility welcomes you to visit our newest home by making an appointment at www.gardencitypets.com 406-239-PUPS (7877).